Constantly increasing number of earthquakes across the country. Many people perceive change and abnormality of nature and begin to realize that not everything is in order. They realize that something is happening, what history has. Every time we learn of the television news of the great earthquakes in various places of the planet and the smaller is better not to speak. 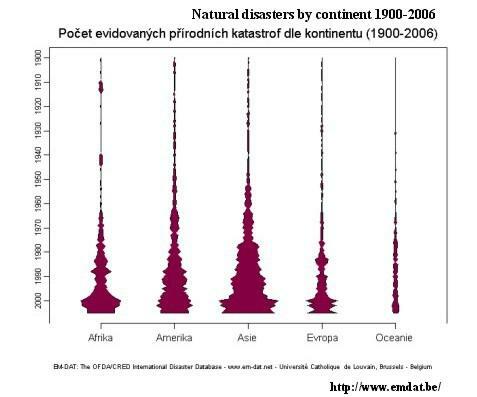 Many argue that earthquakes and natural disasters have always been and therefore it is perfectly normal. 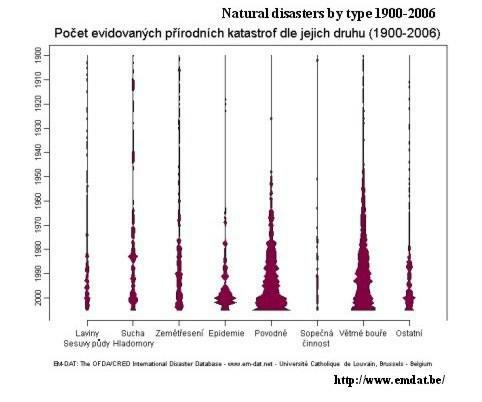 Disasters have always been really, but not so intense in such a large scale. 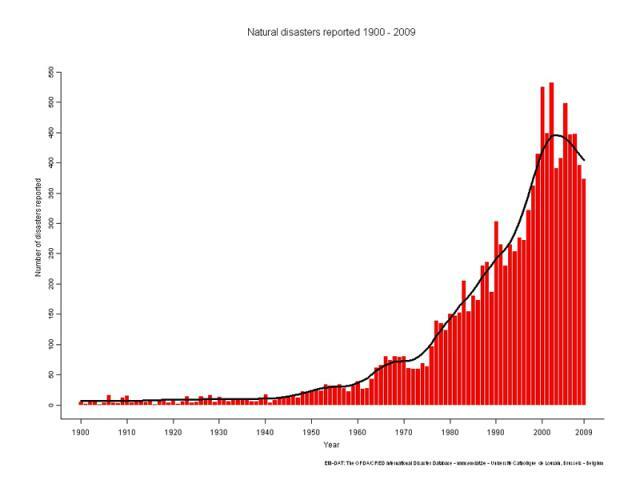 We have a branch that is named, and the statistics speak clearly and distinctly, that natural disasters are increasing and on a grand scale. U.S. Geological Suvrvey said that since 1990 the total number of earthquakes recorded by scientists around the world is constantly increasing. And even though the measurement options are still the same this year. In 2004, there were a total of 31 201 earthquakes, which is almost twice as much as in 1990. As is known, the earthquake of 2004 caused 284,012 deaths. The number of earthquakes in the U.S. for the past 20 years has increased very substantially. In 1990 the U.S. recorded the 2268 earthquake. In 1999, the number has risen to 3003. 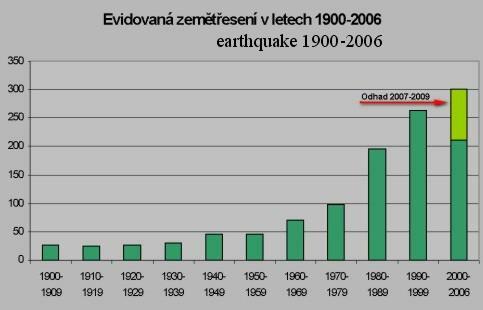 In 2010 there were 8390 earthquakes. From 1990 to 2010, thus a 370% increase! 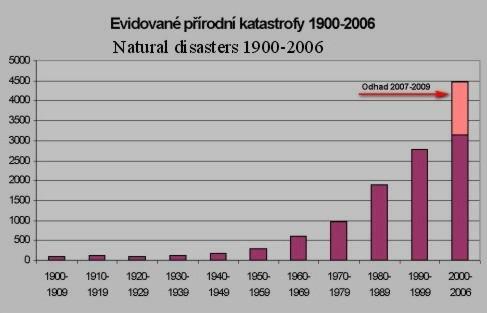 Check out the photo gallery on the charts, which have over the past hundred years, an increasing tendency to catastrophe. March 11, 2011 - Japan - Japan rocked by earthquake and tsunami ten-swept coast. According to seismologists as one of the largest earthquakes of Japanese history. It is also the fifth largest earthquake of modern historie. March 9, 2011 - Japan - Japan struck the Northeast on Wednesday, an earthquake of magnitude 7.2 on the Richter scale. The area pays a tsunami warning, reported Reuters. June 3, 2011 - Chile - In the northern part of Chile earthquake struck Sunday about the strength of 6.3 on the Richter scale. Inform the agency said. The tremors hit the area about 60 kilometers from the port city of Arica. February 22, 2011 - New Zealand - The terrible, swift and strong. Earthquakes in New Zealand was like an air raid. Christchurch New Zealand looks like after the raid. A few hours ago it struck one of the most devastating earthquakes in history. February 11, 2011 - Chile - hit the central part of Chile on Friday evening CET earthquake of magnitude seven on the Richter scale. As informs Reuters, the earth also shook the capital city of Santiago de Chile. January 30, 2011 - Hungary - earthquake, felt that the people in the southern Slovak Republic. In Hungary, the walls cracked in several houses. The Bible says that before the advent of Jesus Christ, the increase in earthquakes and it is one of the signs that make us a warning and turn to God and His word. Matthew 24.7 - Nation shall rise against nation, and kingdom against kingdom, and break out in various places famines and earthquakes. Luke 21.11 - There will be great earthquakes in various places there will be famines and pestilence and horror come and great signs from heaven. 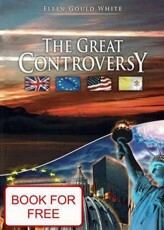 It is near the time when large cities will be visited by ordeal. In a little while to come to this city a terrible shock. No matter how big and strong will of their buildings, although a great number of fire units will be deployed, when God touches these buildings, in a few minutes or hours will be in ruins. Unholy of this world to be swept broom of destruction. The disasters that afflict today for great buildings and large sections of cities, God shows us what comes to the whole world. - (7 Testimonies for the Church 82, 83). 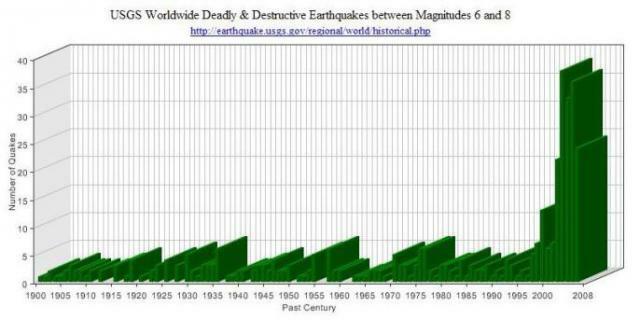 AmazingHope.net - Dramatically increasing the number of earthquakes!